Since Mediaweek stopped publishing our weekly magazine last December we have become a digital-only publication with news and features published daily in addition to the Mediaweek Morning Report. 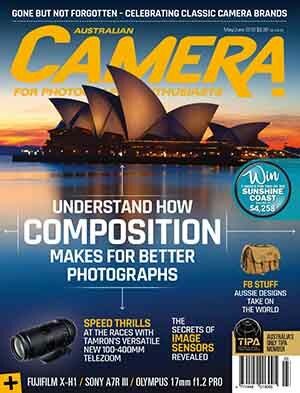 With the launch of our Mediaweek Premium content offering recently, we are launching a subscriber drive. Although Mediaweek receives advertising revenue, our business model continues to be very much a mix of subscriber revenue and ad dollars. Subscribers can sign on for $19.95 a month, $199 a year, or a statewide company sub can be had for $995 (all good deals given our magazine pricing was $649 a year). Become a Mediaweek subscriber here. 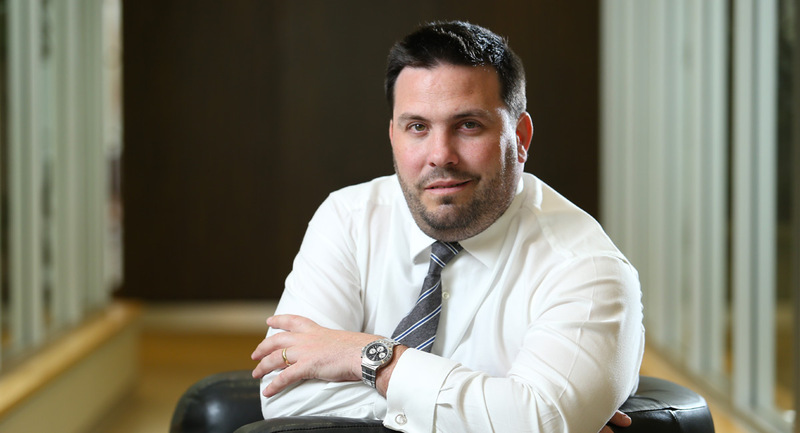 News Corp Australia’s chief operating officer, publishing, Damian Eales, has opened the first Come Together News Futures event for 2018, a series of exclusive events showcasing news, insights and innovations from News Corp’s businesses and brands. Come Together News Futures 2018 is being held in Melbourne at The Olsen on May 1 and 2 and in Sydney at the Hyatt Regency on May 15 and 16. Addressing client and agency partners, the event unveiled an extensive series of commercial initiatives across the News Corp network. “We are Australia’s trusted storytellers and our ability to leverage that capability for our clients is what distinguishes us from other media companies,” Eales said. 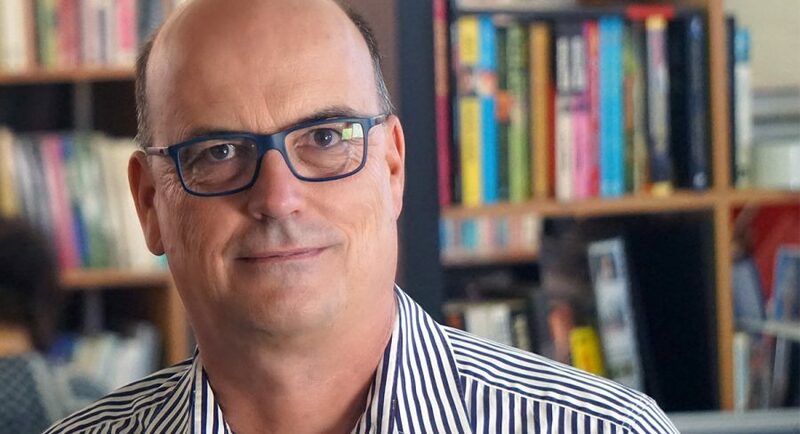 News Corp Australia executive director of content marketing Simon Smith announced the launch of SUDDEN.ly, a full service content marketing agency. The agency will operate as a dedicated digital newsroom for brands, provide customers with the craft, art, and science of great storytelling to drive results on client-owned media channels. It will harness News Corp’s proprietary data technology, expansive content creation expertise – combined with newsroom speed – to create and deliver of-the-moment engaging and shareable content for brands. Smith will lead SUDDEN.ly with respected creative Andrew Sidwell as head of strategy. 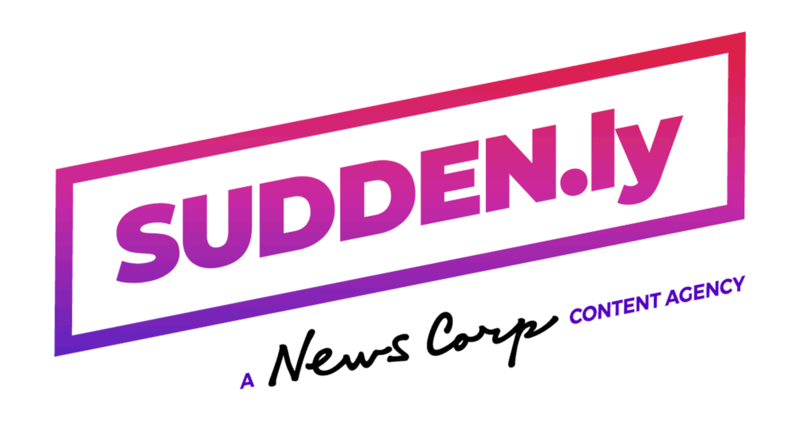 To coincide with the launch of SUDDEN.ly, Content IQ, powered by News Connect, has been created to help give brands the edge when it comes to content insights and content performance measurement of their own channels. “The launch of SUDDEN.ly heralds a new era – united under a new, national trade position where we’re combining content intelligence with storytelling expertise”, Smith said. 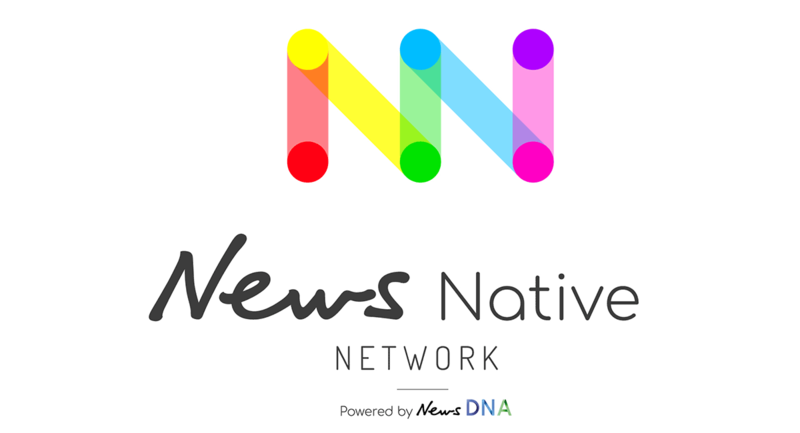 Julian Delany, managing director of News Digital Networks Australia (News DNA), announced the launch of News Native Network, Australia’s largest premium native network with a monthly reach of 10.8 million*. News Native Network is an end-to-end commercial content service that delivers and distributes brand hero stories created with scientific insight and precision. It aggregates and activates the strength of Australia’s leading audience and genre-based networks across news, food, women, prestige, sport and travel to get brands into the headlines. Delany described News Native Network as “the engagement network”. “The rich, immersive product infrastructure paired with a targeted, on-network distribution strategy yields 25% greater engagement scores than the industry average,” he said. Also announced today was the launch of Customer Match, an extension of the company’s audience targeting and insights platform, News Connect. 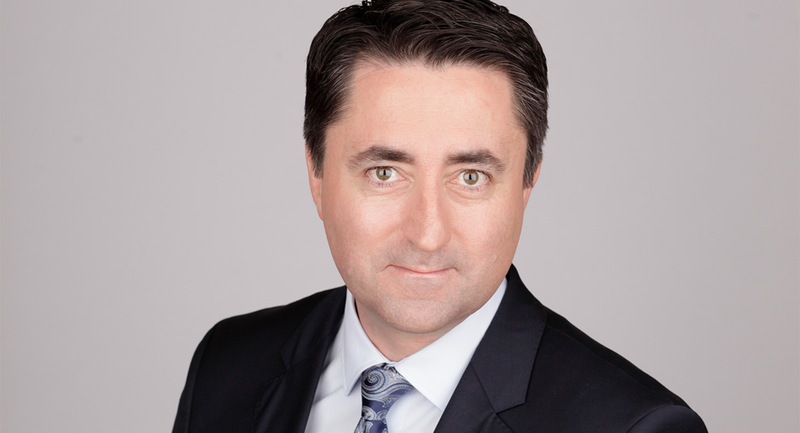 Cameron King, managing director of digital revenue at News Corp Australia, said News Connect Customer Match will help brands use their data better. “News Connect Customer Match allows brands to upload their own data to match their customers with News Corp audiences across the most trusted media and entertainment brands in the country, and with the most credible source for credit card and supermarket data, Quantium,” he said. Further insights into consumption data will be provided through a new strategic data-sharing partnership with Ticketek Entertainment Group (TEG), Australia’s largest source of live entertainment transaction data. The partnership combines the behavioural, transactional and content consumption data of 12 million Australians across News Corp’s digital network together with TEG’s unique dataset of over 12 million consumers. “No other data set, at this scale, gives a better view of Australians’ discretionary spend,” said Mr King. In addition, King announced the launch of Social AMP an innovation that allows advertisers to amplify their social content. By using existing social posts, marketers can extend the reach of their social campaigns in real time within News DNA’s trusted premium content environments. Another new initiative, NEWSamp, will deliver Australia’s most effective integrated media solutions for commercial partners. NEWSamp has been designed to manage client campaigns, brand launches, below-the-line activations, content planning, in-store events, ambassadorial talent, and more. With a team of over 130 across four capital cities, dedicated project managers and in-house production, NEWSamp is an end-to-end service that brings together News Corp’s data intelligence, content expertise and engaged audience network to create seamless solutions. 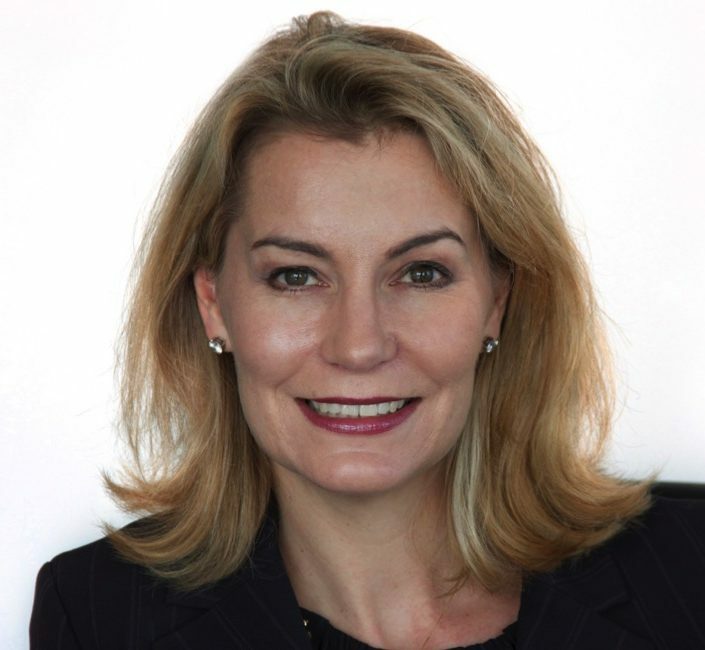 “NEWSamp harnesses the best of News Corp, to deliver bespoke solutions for commercial partners that drive results,” said Renee Sycamore, general manager of NEWSamp. Fiona Nilsson, News Corp Australia’s Lifestyle Director, announced four key initiatives under the banner of Food Corp, leading with delicious.TRAVEL, soon to be the ultimate foodie travel destination. Two cost-effective and easy video solutions were revealed: Studio delicious., a unique, editorially driven lifestyle program with dynamic integration opportunities, and Aisle Watch, connecting brands with grocery buyers at the time and place they are making their purchase decisions. It provides a made-for-mobile, time targeted video solution using real consumer reviews from News Corp’s testing panel of over 100,000 members. The newly launched Food Corp Talent Network helps connect brands to the best food talent in the country, featuring more than 150 industry experts, from the top chefs in the country through to Food Corp’s award-winning editorial talent. 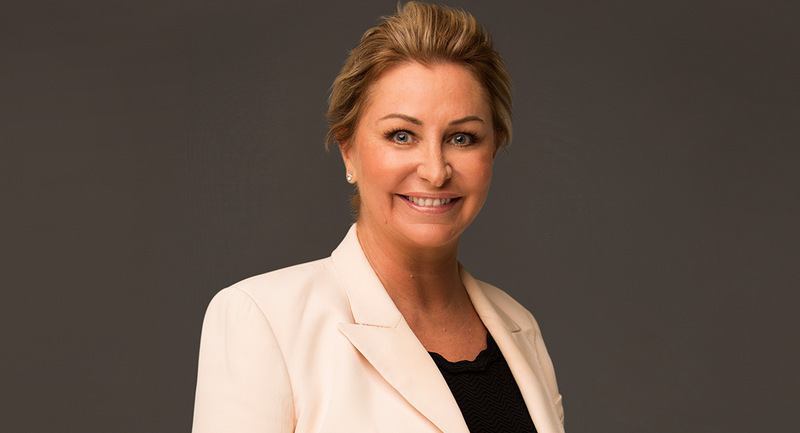 Lou Barrett, managing director, National Sales at News Corp Australia, said that at Come Together News Futures 2018, clients will see and hear how constant and relentless innovation is part of their DNA. “Storytelling is not only what we do, it’s who we are. We are more than media and we want clients to know they can trust News Corp to connect and engage with consumers and to deliver on what we promise. “In an increasingly unsafe digital world. It’s our professionally generated content that will deliver a brand-safe environment to connect customers. “We will always ensure brands are only seen within content that is professionally and skilfully created. Our number one aim is to deliver results for our clients through bespoke, tailored solutions. 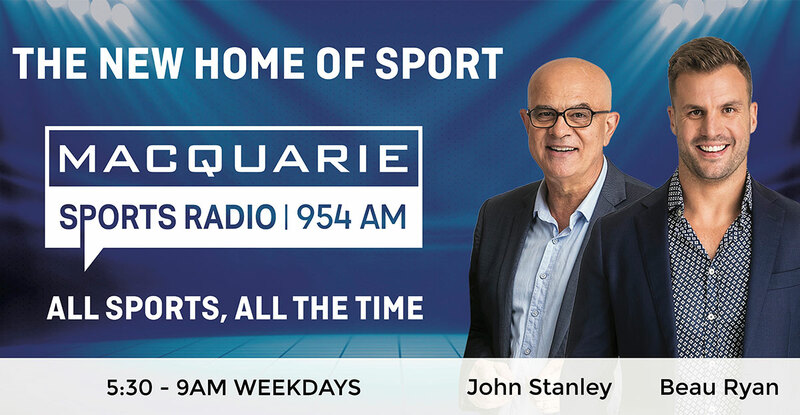 The recently rebranded Macquarie Sports Radio stations in Sydney and Melbourne will have been on air for four weeks today. The stations launched on the Wednesday of the start of the Commonwealth Games in the first week of April. Very little remains on the new stations from the previous Talking Lifestyle format. One of the survivors is breakfast co-host John Stanley. Stanley told Mediaweek he had mixed feelings about starting a new show. “The previous breakfast show I had with Garry Linnell was very successful in Sydney and our last ratings were very good. “To get the sort of figures we had in Sydney when we were doing no local content was very pleasing for us. We had to tailor a national show to cover the east coast and we couldn’t do traffic reports and it was difficult to talk about the weather or anything local. The Canadian-based Kew Media Group has announced it has agreed to acquire Essential Quail Media Group (EQ Media) for an initial purchase price of $32.8 million, comprising $20.0 million (C$19.4m) in cash and $12.8m in shares. EQ Media combines several entities with aggregate pro forma revenue of over AUD$60m. The EQ Media owners may receive additional consideration in the future, conditional upon EQ Media meeting certain financial targets and other tests. EQ Media is a leading independent producer of high quality content for international audiences operating from offices in Los Angeles and Dallas-Fort Worth in the US and Sydney. Buyers of EQ Media’s programming include DIY, HGTV, Cooking Channel, Animal Planet, ABC Australia, SBS, Foxtel, Networks 7, 9 & 10, BBC, National Geographic, PBS, Discovery, Sundance, History Channel, Arte, Netflix and Fox Network. EQ Media also has a longstanding relationship with Scripps Networks (now part of Discovery Inc.), producing more than a dozen full series orders and pilots together. 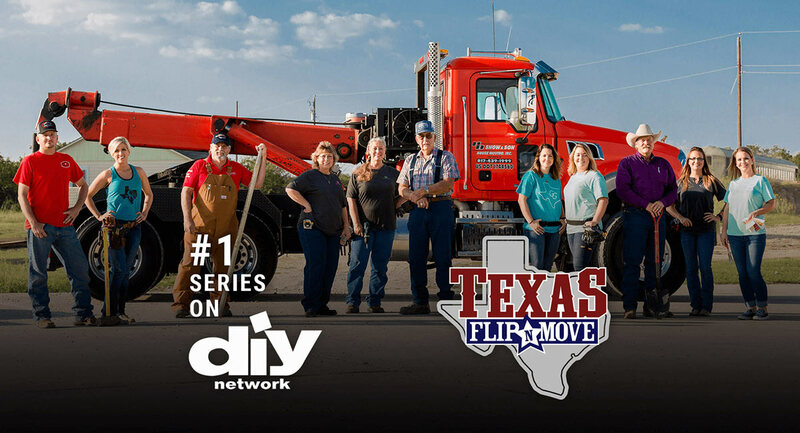 Among EQ Media’s recent US non-scripted programs are: Texas Flip ’n Move, produced for DIY channel, now in production on season nine with an additional four seasons commissioned; Restored also for DIY channel with production on the third season commencing soon; Mom and Me, currently in production for HGTV, and Holiday Cookie Builds, in production for Cooking Channel. Since 2006, Essential Media & Entertainment and Quail Entertainment have collectively provided premium content for all Australian networks, with recent productions like Find My Family (Seven Network), the highest-rated documentary series in Australian television history; the Logie-nominated adventure science series Todd Sampson’s Body Hack and the satirical scripted comedy At Home With Julia (ABC); a Kriv Stenders-directed music feature documentary The Go-Betweens: Right Here, which won Best Feature Documentary at the 2017 Australian SPAA awards; the factual series Afghanistan: Inside Australia’s War, which won the 2016 NSW Premier’s History Award Media Prize, the SPAA Award and was nominated for a Walkley Award; and lifestyle series Gourmet Farmer and Shane Delia’s Spice Journey. Following the completion of the transaction, EQ Media’s senior management team, which has driven the company’s impressive growth, will continue to guide its future. 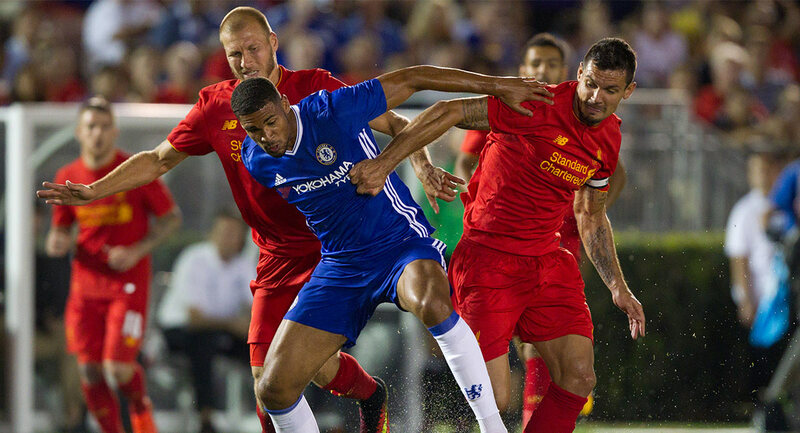 Optus has extended its relationship for exclusive Australian rights to the Premier League for a further three seasons, commencing in August 2019. This includes exclusive live coverage on Optus Sport for every Premier League match, and full on-demand, replay and short-form rights for all 380 matches from 2019 to 2022. As excitement about the 2018 FIFA World Cup intensifies, Optus has separately announced a new direct-to-consumer subscription option for all Australian viewers to access Optus Sport. It will be the only place to watch all 64 matches of the 2018 FIFA World Cup. From later this month, Optus Sport will be available for the first time to non-Optus customers and Optus customers who were previously not eligible. It will cost $14.99 per month via Google Play and the Apple App Store. All subscribers will be able to access all of Optus Sport’s 2018 FIFA World Cup coverage, including two 24/7 channels, all 64 matches both live and on-demand and Optus Sport’s entire array of dedicated World Cup programming. Eligible Optus customers will continue to be able to enjoy access to all Optus Sport content. “We’ve made sure every single match played in the 2018 FIFA World Cup receives dedicated pre- and post-game analysis and both live and on-demand viewing options,” Lew said. Optus has assembled an expert team of analysts, comprising international and national talent, who will be based in Russia and Sydney. Former Socceroo Mark Schwarzer and Optus Sport’s Richard Bayliss will lead the teams. They will produce and deliver five hours of dedicated programming on every match day during the tournament. Thirty-nine of the 64 games to be shown live on Optus Sport will be exclusive to the platform, including all of Lionel Messi’s Argentinean team group stage matches. SBS will be broadcasting one game per match day simultaneously with the coverage on Optus Sport. This means the free-to-air broadcaster will show 25 games from the tournament. The Optus Sport App will provide people with greater flexibility to connect with the 2018 FIFA World Cup at home or on the go. “We’ve optimised the app to be compatible with all major smartphones, as well as web browsers, Apple TV and Chromecast, offering a truly flexible viewing experience. Additional features include Start Over, meaning if you’ve missed the start of a live match you can simply select the start over option and jump straight back to the start of the match,” Lew said. Following the 2018 FIFA World Cup, Optus Sport subscribers will have access to all of Optus Sport’s exclusive content, which continues with the start of the 2018/19 Premier League season in August 2018. Optus Sport will shortly announce its full array of World Cup programming, on-air talent and programming lineup. Personal viewing in Australia only. Compatible device and Australian app store account required. 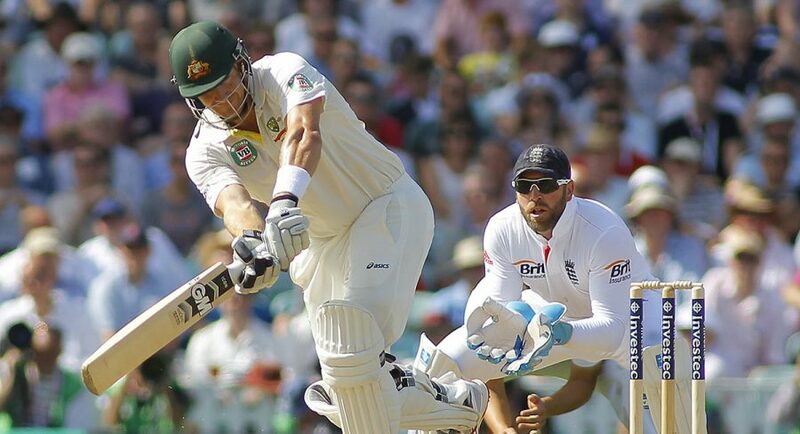 Cricket Australia has released details of international cricket to be played in Australia next summer. The season starts early on the last Saturday of September, allowing Seven to use its AFL Grand Final audience as a lead-in to its first cricket match. The game will be a women’s T20 clash between Australia and New Zealand at North Sydney oval, broadcast on Seven and Fox Sports. • Four nations are visiting Australia next summer for men’s and women’s 2018-19 international cricket season – New Zealand, South Africa, India and Sri Lanka. • 24 matches of international cricket across 2018-19 season. • Prime Minister’s XI match will be played against South Africa at Manuka Oval on October 31, while the Governor-General’s XI will play New Zealand on February 28. Both will be one-day day-night matches and broadcast on Fox Sports. • More international cricket available through new broadcast partners Fox Sports and Seven Network than in any previous season. • Australia to compete in Commonwealth Bank Women’s T20 Internationals against New Zealand in October before embarking on their ICC Women’s World T20 campaign in West Indies, and then play further Commonwealth Bank ODI matches in February. • Adelaide’s Karen Rolton Oval set to host first international match ahead of Women’s World T20 in 2020. • Australia to start their home summer campaign with three Gillette ODIs and one Gillette T20I against South Africa in November playing at Perth Stadium, Adelaide Oval and Blundstone Arena, ahead of ICC Cricket World Cup in 2019. • Australia to take on India in Test, ODI and T20I matches. • Australia to host Sri Lanka for first home Test Series in six years. • Gold Coast confirmed to host International Cricket for the first time at Metricon Stadium plus Perth Stadium and Manuka Oval to host maiden Test matches. • Day-Night Test Cricket returns to The Gabba over Australia Day long weekend and CA working with BCCI to host Adelaide Test as Day-Night match, expected to be confirmed later. Domestic cricket dates – including an expanded Big Bash League season that will feature 43 games including finals broadcast on Seven – are not yet available. National newspapers have reported positive growth in advertising revenue in the first quarter of 2018, while digital ad spend improved by 10.1%, according to the latest News Media Index (NMI) with data collated by Standard Media Index (SMI). National newspapers grew by 0.1% in Q1 2018 to $16.95 million, reversing the decline of the previous corresponding quarter. Digital revenues for news media publishers have grown 10.1% in Q1 to $118.46 million, with the largest growth evident in the programmatic market, which grew by 46.9%. Australia’s news media sector remains the third-largest media sector and reported $2.02 billion in advertising revenue for the 12 months to December 31, 2017. The sector achieved total revenues of $1.46 billion for the nine months of the financial year-to-date. The industry’s overall decline has significantly moderated, with total news media ad spend back just 7.3% in the quarter to $448.23 million. This is well below the latest SMI agency-only ad spend data, which showed a sector decline of 19.4%. The results again highlight the difference between the agency and direct ad revenue markets, with direct ad spend now accounting for 58.3% of all news media advertising. Unlike the monthly SMI data, which reports agency-only revenue, the quarterly News Media Index reports all print and digital ad revenue to Australia’s largest news media publishers from both agencies and direct advertisers and is independently verified by SMI. “Against a backdrop of fake news, government investigations of the social media giants and breaches of consumer privacy, advertisers are now realising what consumers have known all along. 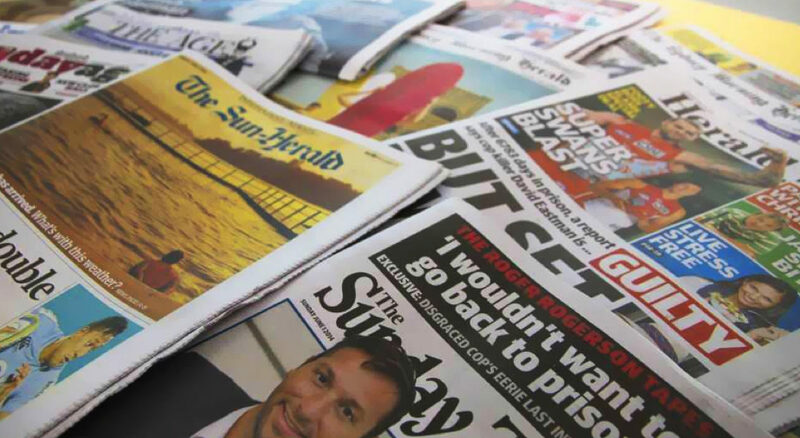 The latest News Media Index signals a renaissance of trusted news brands as reliable and credible sources for Australian consumers, with the month of March looking particularly strong,” NewsMediaWorks CEO, Peter Miller, said. 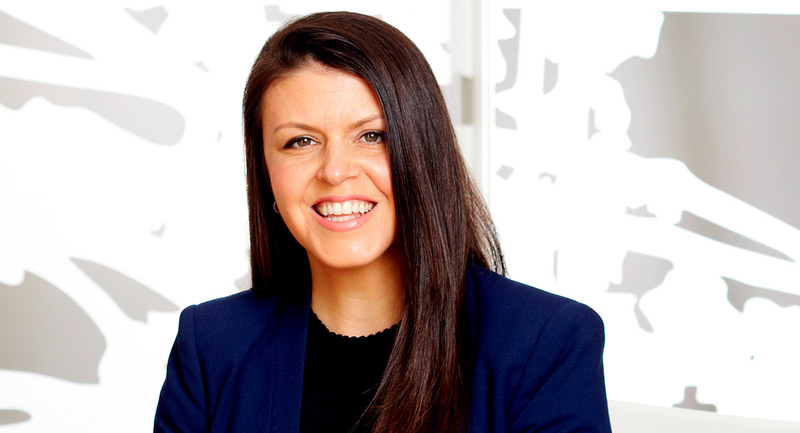 SMI AU/NZ managing director Jane Ractliffe said it was heartening to see an improvement in the industry’s overall decline, and such a strong level of growth in ad spend to digital news media. “And the sustained growth in digital media has also ensured the industry continues to lead all other media in relation to the commercialisation of its content online, with digital bookings now representing 26.6% of all news media revenues in this quarter compared to 22.3% in the same period last year,” she said. 1. 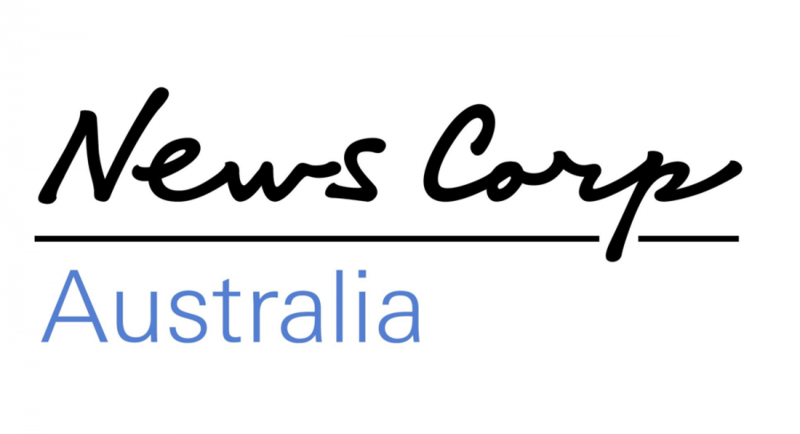 The revenue data is taken from NewsMediaWorks’ members, News Corp Australia, Fairfax Media, West Australian Newspapers and Community Newspaper Group, WA, who represent around 90% of the news media sector. 3. emma (Enhanced Media Metrics Australia), 12 months to February 2018. Readership based on last four weeks. Trends compared with 12 months to February 2017. Survey conducted by Ipsos Connect, people 14+, Nielsen Digital Ratings (Monthly), February 2018. It was a massive weekend for movies around the world, including, of course, Australia. The latest in the Avengers franchise sent people into cinemas in record numbers busting box office records everywhere. It’s been a wonderful year for Marvel of course after the success of Black Panther in February. The records are looked at in more detail below. However, the takings for the top 20 movies here were $28.83m, which is the best this year. It was over $1m ahead of the first weekend of the year when the total was $27.44m with the opening weekend of Jumanji 2 and the second weekend of The Last Jedi. Avengers: Infinity War saw the second-biggest weekend opening ever in Australia with a five-day haul of $21.23m after it opened on Anzac Day. The movie opened on a staggering 930 screens indicating just how ready cinemas were for this cash bonanza. The screen average was $22,839. Jumanji 2 was the closest to that figure this year with $19,791 in January. The biggest-ever weekend opening in Australia remains Stars Wars: The Force Awakens back in December 2015 with $27.25m. 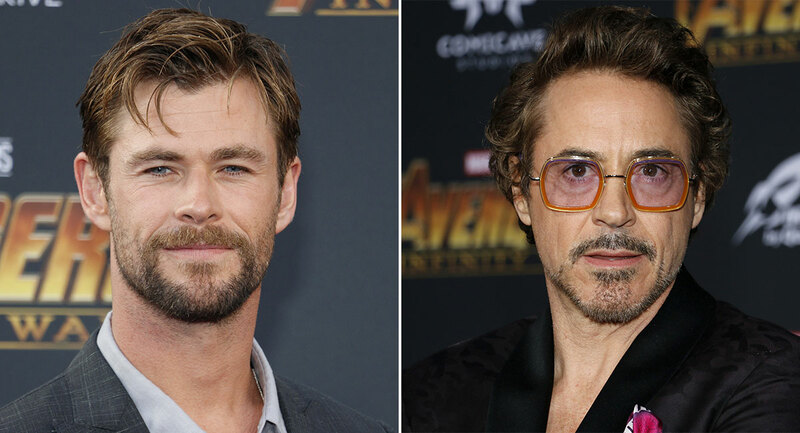 Avengers: Infinity War now moves into second spot, jumping ahead of Stars Wars: The Last Jedi on $20.97m. Dropping out of the top 10 is Rogue One: A Star Wars Story, which opened with $14.75m. The Avengers: Age Of Ultron opened with $15.50m in April 2015. 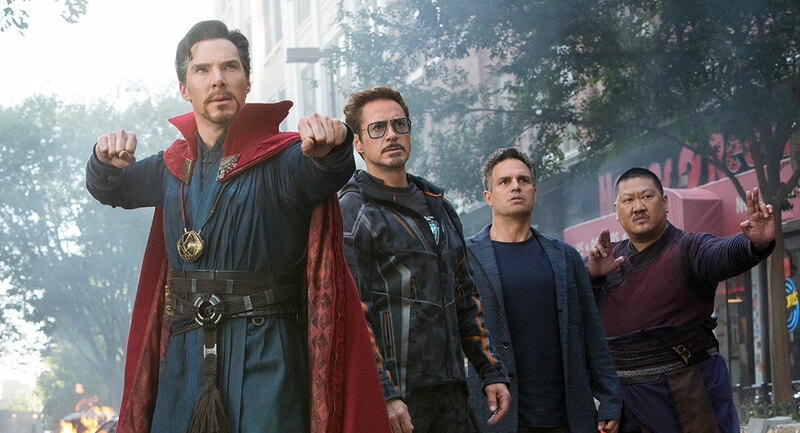 Val Morgan has reported Avengers: Infinity War is now the biggest worldwide opening of all time with US$630m. It has overtaken 2017’s Fate of the Furious (US$542m) and is yet to open in China, the world’s second-largest movie market. It’s also taken the title for the biggest opening of all time in the US with US$250m and is easily on track to reach over $1bn globally. Infinity War generated a massive all-people Australian audience of 1.73m in its first five days alone. 30% of the weekend audience were 14-24, 57% were aged 18-39 and 55% were aged 25-54. It’s already reached an astounding 17% of males aged 18-39, a notoriously elusive audience. The second weekend of the Amy Schumer movie has dropped to #2 and shed 66 screens to 268 for a screen average of $5,606. To-date it has earned $5.87m. In its sixth week the movie is still earning over 1m and holding on 304 screens for a screen average of $4,038. It is bounding up the all-time box office chart for Australian movies and, with a gross to-date of $25.40m ranking it at #8, overtaking Crocodile Dundee 2 over the weekend. To make the top five it will need to push just short of $30m, which will see it overhaul Lion. This horror outing climbed past $10m on the weekend, which took four weeks to earn. A second weekend on the chart with a gross climbing close to $3m. 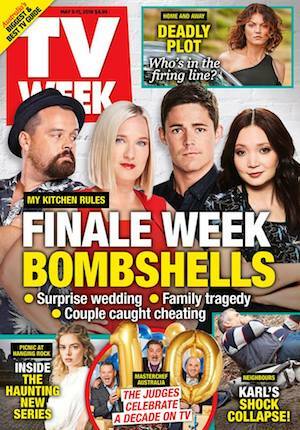 Home and Away started its new week on 743,000 after a week 17 average of 702,000. Another night of competition in Kitchen HQ on My Kitchen Rules. After 1.33m a week ago and then 1.16m on Sunday, it delivered 1.10m for Monday. A dairy challenge last night saw two teams rise to the top but, in a hotly contested seafood showdown, Stella & Jazzey were once again pipped with mums Kim & Suong advancing to the semifinals. Plenty of fireworks are being promised for tonight – think cheating and double elimination! The second episode of The Mentor featured Mark Bouris working with a Cronulla florist. After a series debut of 489,000 last week, fixing the flower business did 472,000. 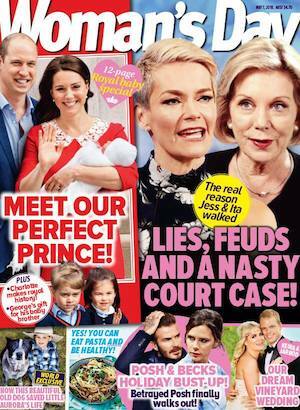 A Current Affair had another look at a MasterChef star. This time it was judge George Calombaris and the gym building in his backyard that his next door neighbours are not very happy about. The episode did 893,000 after a week 17 average of 795,000. The Voice started with a former footballer who delivered an impressive performance that saw him choose Joe Jonas. After 1.06m on Sunday, and 916,000 on Monday a week ago, the Blind Auditions episode last night was on 905,000. Nine then went with a BBC special Sam Smith: Live In London, which did 302,000. There was lively debate on The Project between Steve Price and Matt Noffs, a drugs expert with treatment service Harm Reduction Australia, a supporter of the pill testing facility at a Canberra music festival on the weekend. The episode did 551,000 after a week 17 average of 447,000. The grand final of Bachelor In Paradise saw four couples prepare for commitment ceremonies. The episode did 661,000 for starters and then 774,000 for the proposal after a grand final part one audience of 627,000 on Sunday and 665,000 watching on Monday last week. The show helped push TEN’s share above 12%. It should be a lot better than that in a week after the MasterChef season 10 launch. The reboot of Roseanne launched off the back of the Bachelor In Paradise season final with 463,000 watching Roseanne Barr and the rest of the original cast. Darlene lives at home with her two kids, which of course is the source of much friction. Episode four of the 2017 Montreal Comedy Festival specials followed with 202,000. The second episode of The Justice Principle featured on Australian Story with 669,000 after part one did 575,000 a week ago. Four Corners featured a report from Michael Brissenden on sugar, politics and what is making many Aussies fat. The episode did 626,000. 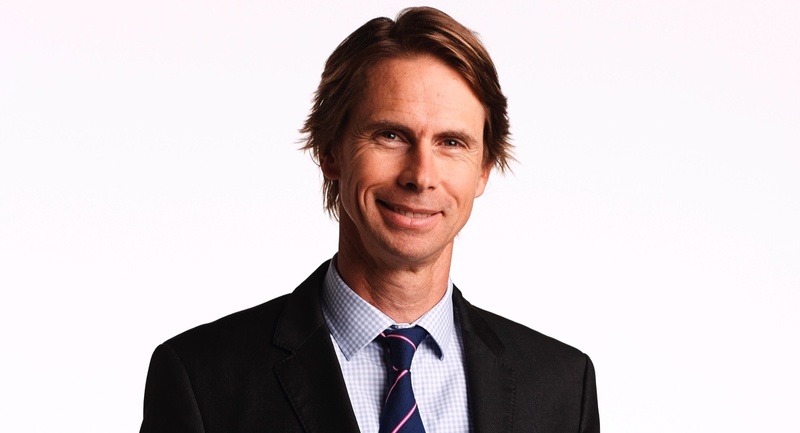 Media Watch looked at celebrity financial planner Sam Henderson and did 622,000. Q&A had a special edition featuring guests in Sydney for the Sydney Writers’ Festival. MSNBC anchor and author Katy Tur was called into action early when asked if the media was responsible for the election of Donald Trump. (She said “no”.) The episode was on 417,000. Episode three of the very watchable Elizabeth doco on Queen Elizabeth 2 was in the 60s with 291,000 watching after 241,000 a week ago. The start of a “new” repeat season of Trust Me, I’m A Doctor starring Michael Mosley did 225,000 after 8.30pm followed by 24 Hours in Emergency on 218,000 after 9.30pm. Facebook has revealed it paid more than $31 million in local back taxes after reaching an agreement with the Australian Taxation Office following a crackdown on multinational tax avoidance, reports The Australian’s Dana McCauley. The tax bill covers the years between 2009 to 2015, while Facebook’s local tax bill for 2017 totalled $11.2m on a pre-tax profit of $32.9m, according to the tech giant’s latest Australian accounts. This was up from $3.3m in tax paid in 2016 on pre-tax earnings of $6.3m. The figures were released as tech rival Google also released its local accounts showing a profit of $125.1m for the year to the end of December, up from $104.7m the previous year. Combined, the two tech majors reported $3.5 billion in Australian advertising revenue. Google Australia earned about $3bn from advertising in 2017, the company said, while Facebook, which still books a portion of local ad revenue in tax-haven Ireland, reported $479m in ad revenue. 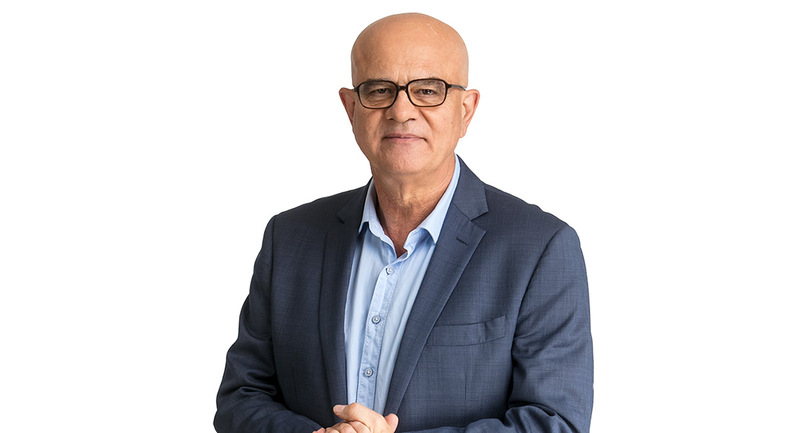 Australia’s health and wellbeing network Tonic Health Media has acquired commercial health information website myDr.com.au from Access Telehealth. Effective immediately, the deal will incorporate myDr’s premium inventory with Tonic’s existing out-of-home assets to transform the market-leading health media network. All the content on myDr is reviewed and verified by medical clinicians, and developed by experienced medical writers. The website has 1.4 million unique visitors per month. Meanwhile, Tonic’s multichannel network of TV, digital panels and brochure boards are featured in 4,500+ GP practices, hospitals, pharmacies and health centre waiting areas across the country, interacting with 15 million people per month. Following the acquisition of myDr, the evolved Tonic network will reach 17 million consumers per month across all channels. To drive the new offering, Tonic has hired Michelle Mansour as commercial manager for digital. Mansour joins from Bauer Media, where she worked for the past 13 years. 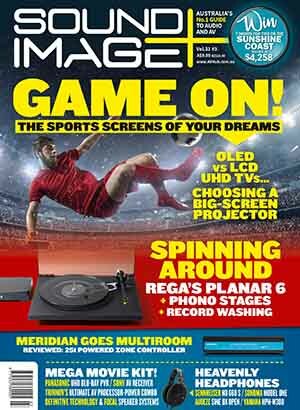 oOh!media will upgrade its Study network with the further digitisation of its inventory at two leading universities. The outdoor company has secured long-term contract renewals with University of Sydney (USYD) and the University of Western Australia (UWA). The upgrades are the start of the next phase of growth plans for the Study network, which has trebled in size since it was added to oOh!’s offering to help advertisers target the hard-to-reach university audience. Under the agreements, oOh! will install new slimline screens at UWA and convert all USYD classic panels to digital formats. 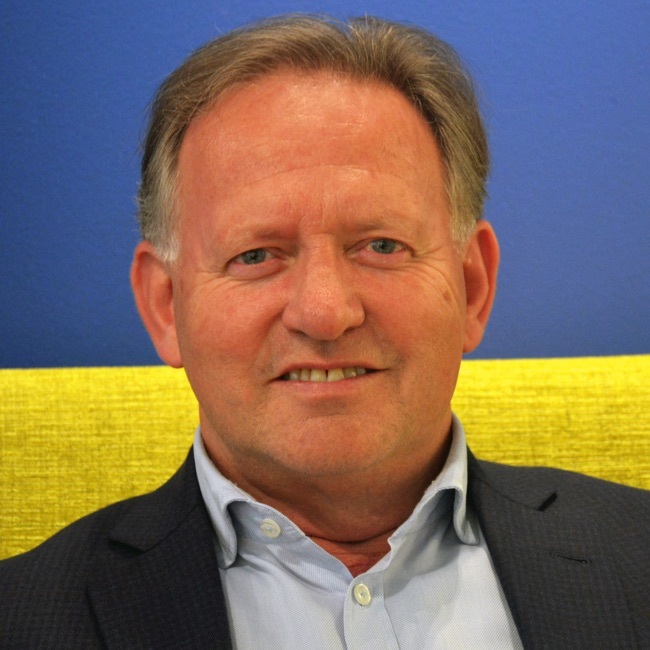 Adam Cadwallader, group director of Locate by oOh!, said, “Since acquiring the Study network we have trebled our Study portfolio and now have more than 200 digital screens and 120 classic panels across more than 100 campuses. These two university contract renewals have further cemented our strength in the study space. 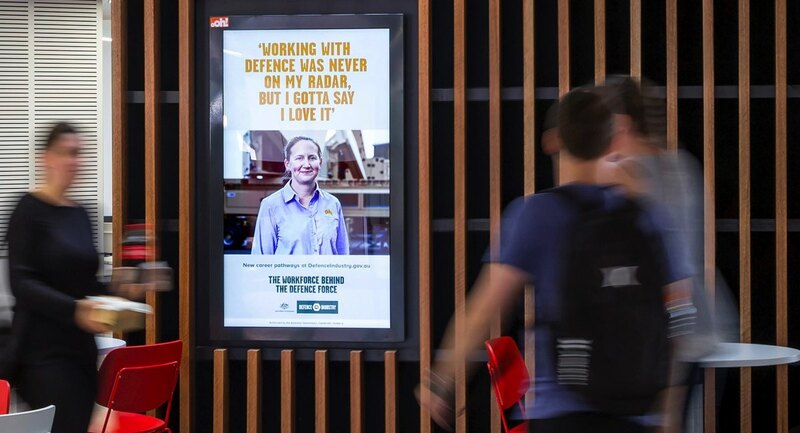 “We know that students spend 17 hours per week on campus, and 5.5 hours within the student hubs and common areas, so if advertisers want to target students, Locate by oOh! can reach them like no other medium. “oOh! prides itself on offering up-to-date and relevant information and news to students, connecting them with relevant brands and pertinent products. In addition to digital and classic out-of-home opportunities strategically located in student hubs around campus, oOh!’s Study portfolio also includes comprehensive campus experiential campaigns and online solutions including native content. WPP is to sell stakes worth billions of pounds that it holds in a wide range of companies, as the world’s largest advertising group looks to refocus after the departure of founder Sir Martin Sorrell, reports The Guardian. The company has what analysts have called a “hidden treasure trove” of assets that are not part of its core business, such as a 9% stake in Vice, which as a business is valued at about $6b. WPP says the book value of these investments is about £2.5b. However, analysts believe the true market value could be more than £6b. A BBC reporter has been killed in an attack in the eastern Afghan province of Khost, reports the news organisation. Ahmad Shah, 29, had been working for the BBC Afghan service for more than a year. His death follows a day of deadly attacks in Afghanistan in which several other journalists were killed. In a statement, BBC World Service Director Jamie Angus said Shah was a “respected and popular” journalist. “This is a devastating loss and I send my sincere condolences to Ahmad Shah’s friends and family and the whole BBC News Afghan team,” he said. Khost police chief Abdul Hanan told BBC Afghan that Shah had been shot by unidentified armed men. He said police were investigating the motive. Shah is the fifth BBC staff member to have been killed in Afghanistan since the country’s devastating civil war in the 1990s. The ABC has announced a proposal to reshape its eight capital city newsrooms to deliver more in-depth coverage and a faster breaking-news service to local audiences across TV, radio, web and mobile. Director, news, analysis & investigations Gaven Morris said the proposed changes would make the newsrooms fully fit for the modern media environment. “As Australia’s major public broadcaster, the ABC is continuing to provide news on traditional platforms at the same time as developing our digital presence to be as accessible as possible for all Australians,” he said. “While our newsrooms do great work, the current structures do not fully support our people to meet modern audience needs. Morris noted the way audiences are now consuming ABC News. While broadcast audiences soften, in the past two years the ABC News audience on web and mobile grew by 12% to almost five million Australians a month. The smartphone audience jumped almost 30%. Consultation on the proposal began with unions and employees yesterday. Alan Jones used his radio program to launch a “very targeted attempt to destroy our reputation”, a member of Toowoomba’s prominent Wagner family told a court in an “unparalleled” defamation case, reports The Australian’s Mark Schliebs. John Wagner told the Supreme Court in Brisbane yesterday that he believed Jones was campaigning against his family’s business interests as long ago as 2010. The case, in which the Wagner brothers are suing Jones, radio stations 4BC and Harbour Radio and journalist Nick Cater, began before Justice Peter Flanagan yesterday. It relates to 32 broadcasts in 2014 and 2015. Tom Blackburn SC for the Wagners told the court “very large damages” were being sought from the defamation that is “unparalleled, as far as we are aware, in this country”. Ink, a new British play about the rise of Rupert Murdoch, will have its American premiere on Broadway next spring, reports The New York Times. The play, which was a hit in London last year, is about an early chapter in Murdoch’s rise to moguldom – his takeover and tabloid transformation of The Sun, a British newspaper, starting in 1969. Reviewing Ink in London, Ben Brantley of The New York Times called the play “both an entertaining epitaph for a lost age and a chilling prophecy of days to come”. Ali Oetjen has been announced has the Bachelorette for the fourth season of Ten’s The Bachelorette Australia. 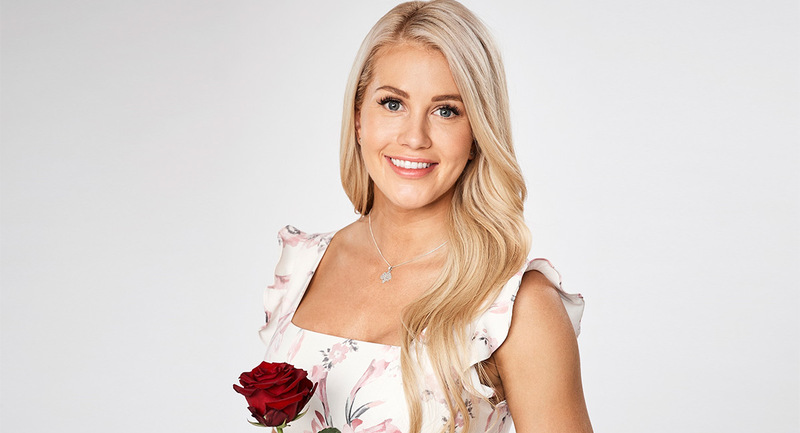 Speaking about the new Bachelorette, Ten’s chief content officer Beverly McGarvey said: “We have all been captivated by Ali’s search for love and are delighted to welcome her back in the new season of The Bachelorette Australia. The Bachelor, Bachelorette and Bachelor in Paradise franchises in Australia are produced by Warner Bros International Television Production Australia. Osher Günsberg will return as host on the new seasons of The Bachelor and The Bachelorette to come on Ten. Reality TV’s biggest villain, Davina Rankin, has flipped the script, turning down a stint on Channel 9’s Love Island to maintain her new relationship, reports News Corp’s Amy Price. The Married At First Sight contestant, who was heavily criticised for trying to partner swap with Dean Wells on the show, revealed she had been approached to appear on the new dating show, hosted by Sophie Monk. But instead of prolonging her time in the spotlight, Rankin chose to stay loyal to boyfriend Jaxon Manuel making their relationship public last week. Delta Goodrem has released new images of her transformation into superstar Olivia Newton-John for Channel 7’s upcoming biopic, reports News Corp’s Nui Te Koha. The images feature in artwork for Goodrem’s cover of the ONJ 1974 hit, “I Honestly Love You”. They show Goodrem in various ONJ eras including “Physical” (1981), Grease (1978), Koala Blue (1988), and marriage to Matt Lattanzi (1984). Goodrem has also recorded a duet with Newton-John titled “Love Is A Gift” that will feature on the biopic soundtrack. “I couldn’t think of anyone better to play my life,” Newton-John said. 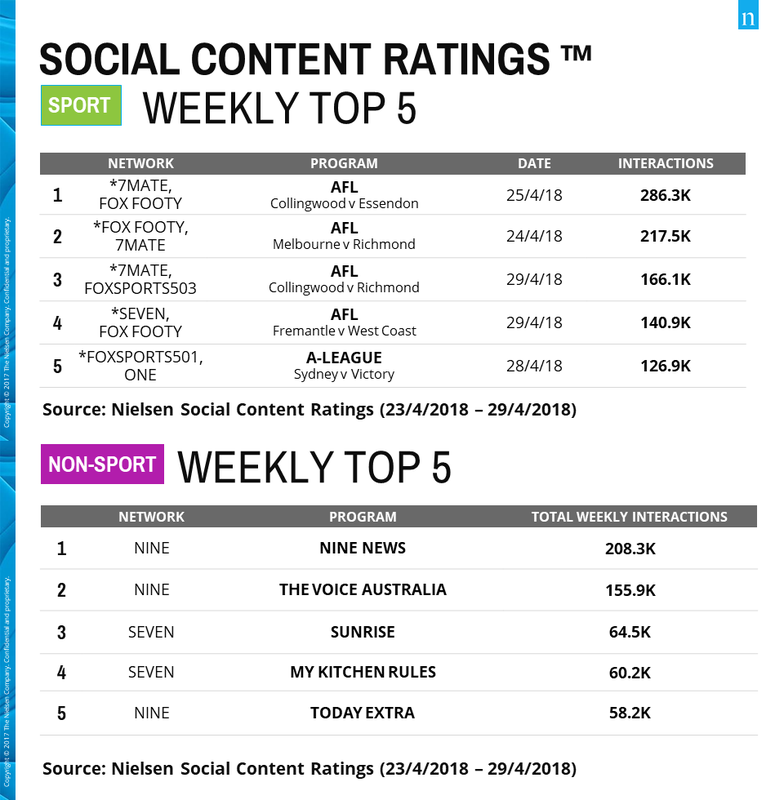 Nine had the two most-talked-about non-sport programs on social media as measured by Nielsen’s Social Content Ratings last week. Nine News and The Voice ranked #1 and #2 on the chart we publish today. Nine had three of the top five while Seven was represented in the top five by Sunrise and My Kitchen Rules. On the sports chart, AFL matches filled the first four sports including the Anzac Day and Anzac eve clashes shown by Seven and Fox Footy. NRL failed to make the top five, with fifth spot being taken by the A-League Sydney v Victory game that was decided in extra time last Saturday night. The well-reviewed new Netflix sci-fi series Lost In Space entered the Top 10 Digital TV Originals chart last week at #1 and has stayed there for a second week. It’s a genre that continues to be popular with the streaming audience. 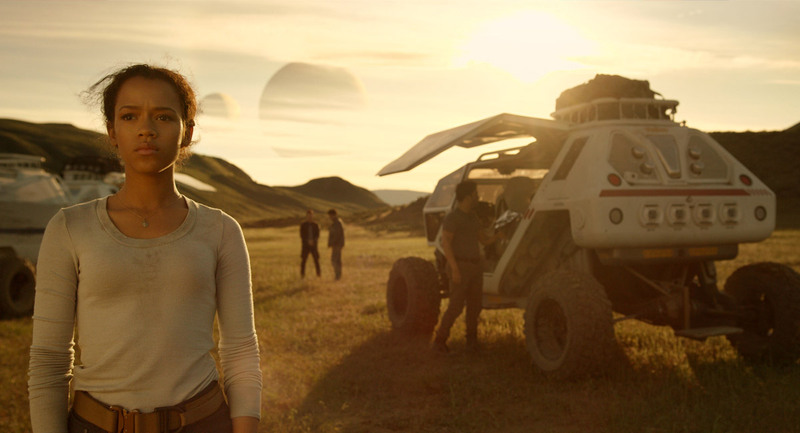 Lost In Space replaced Stranger Things at #1 in Australia and New Zealand with Stranger Things remaining at #2 for a second week. The new season of The Handmaid’s Tale has appeared at #3 in both countries on the Digital Originals chart as it qualifies because it comes from Hulu in the US. The series is available first via SBS On Demand in Australia and on Lightbox in New Zealand. 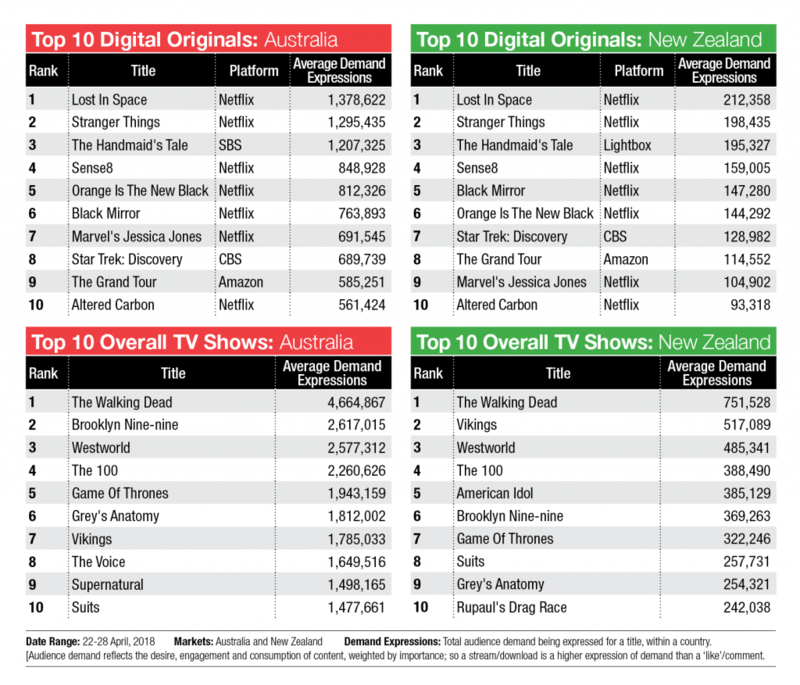 The Walking Dead again remains at #1 on the Overall TV charts, but the new season of Westworld sees the show at #3 in both countries after returning to the chart lower down the top 10 in Australia and New Zealand last week. Reporters at The Daily Telegraph escalate their attack on the NRL to DEFCON-1, reports Fairfax Media’s Andrew Webster. News Corp and the NRL have been going toe-to-toe with each other for the best part of a year over the NRL’s $150 million spend on a new digital arm. News, which also owns subscription TV broadcaster Fox Sports, considers the move to be an encroachment on their standing as the apparent voice of the game. The NRL argues it has every right to set up its own media service, just like the AFL – which, of course, it does. Free-to-air broadcaster Channel Nine also expressed its dissatisfaction last year about the NRL’s beefed-up digital arm but it hasn’t been anywhere near as cranky as News. There was a series of meetings between Greenberg and News executives all last year.